Syrian SANA news agency reported Saturday that the US-led coalition's airstrikes in Deir ez-Zor killed at least 10 civilians and injured several others. 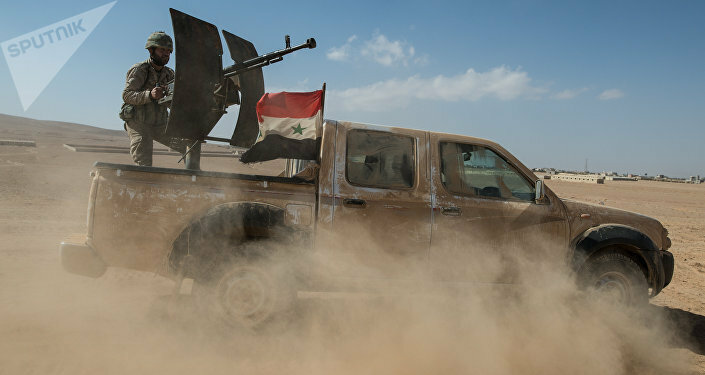 According to SANA citing local sources in al-Mayadeen city in the Deir ez-Zor province, "the warplanes of the coalition launched raids on the infrastructure and the residential neighborhoods in al-Tibeh village in al-Mayadeen countryside, claiming the lives of seven people […] including five children." Moreover, houses were also reportedly damaged in the bombings. The US-led coalition's supposed airstrikes also targeted a building in al-Mayadeen, resulting in 3 civilian deaths and injuries. On July 27, the news agency reported that a US-led coalition airstrike in the eastern Syrian province of Deir ez-Zor claimed the lives of 18 civilians and left over 20 injured. Eyewitnesses specified that the attack hit Tayba, located in the western part of the province near Mayadeen, also damaging houses and local infrastructure, according to SANA.